Boom lifts from the AFI fleet helped structural steelwork specialists Evadx to complete a steelwork contract on time at a luxury hotel in Cumbria, despite a spate of bad weather. Evadx, working for the main contractors, Thomas Armstrong, hired a JLG 800AJ and a Haulotte HA20PX to erect 146 tonnes of steelwork and pre-cast concrete floors at the Lodore Falls Hotel in the Borrowdale Valley. The hotel’s £7m expansion and renovation project includes a new restaurant, leisure facilities and 18 additional bedrooms. The JLG 800AJ has a working height of 26.38m and the Haulotte HA20PX has a working height of 20.65m. 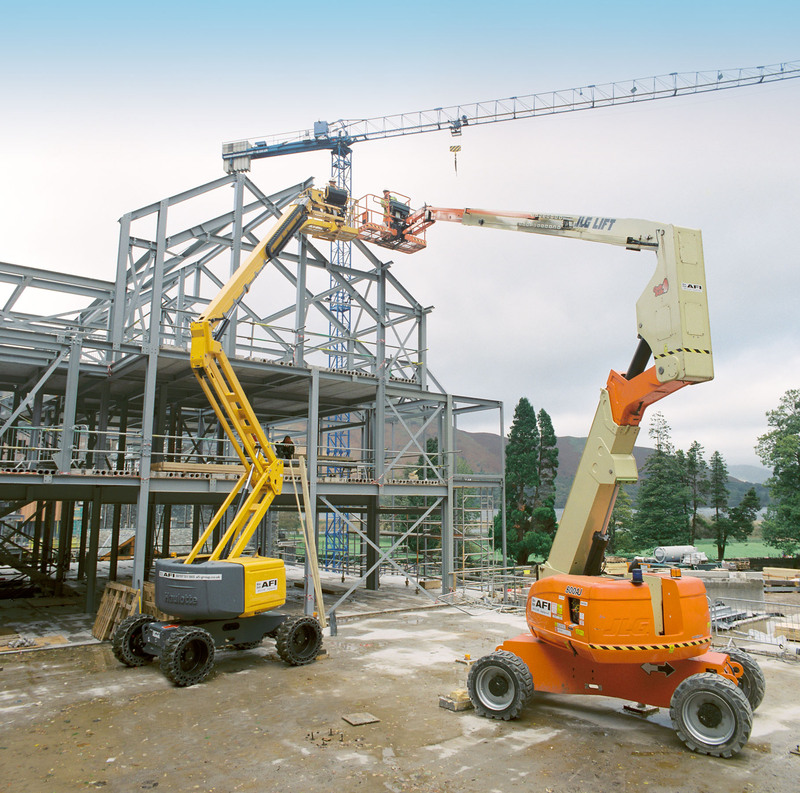 Both boom lifts are ideal for steel erection and general building maintenance.